Did you know that a good alternative to a kettle is an electric water boiler dispenser and warmer? There are many reasons such as the bigger amount of water that can be boiled, the high energy efficiency, portability and the wide range of features that come with these appliances. 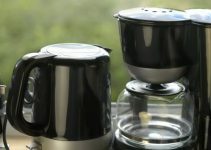 Therefore, for those who want a more fancy kitchen tool that heats up a bigger amount of water, I put together the best water boilers available on market. I have reviewed all these products for your convenience: pros, cons, description and where to find them. Make sure you read on. If you are an avid tea or coffee drinker, the sleek stainless steel dark brown Zojirushi CV-DCC50XT VE Hybrid Water Boiler and Warmer will simply knock your socks off. Right out of the box, the built is solid, the design is stylish, and the capacity is large enough for a small gathering. With a touch of a button, the CV-DCC50XT VE Hybrid will provide you with plenty of warm or hot water supply. The water boiler and warmer is ideal for making coffee, tea, noodles, breakfast, spaghetti, pasta, and even preparing your baby’s formula. It’ll make your life a lot easier. More than that, the kitchen appliance comes with a ton of robust features, including Auto Dispense System, micro computerized temperature control, 4 keep warm temp settings, and Quick Temp Mode so you can bring your water to specific temperature without the need for boiling. And that isn’t all. The hybrid hot pot is incredibly energy efficient thanks to its non-electric keep warm insulation system. Together with 6-10 hour energy-saving timer function, the boiler keeps the water at the desired temperature without the need for electricity, saving you more on utility bills. It features 4 keep warm temperature control settings for more convenience. This way, you can get water at the temperature you want, between 160 degrees F and 208 degrees F.
Zojirushi water boiler CV-DCC50XT VE is a high-end hybrid water boiler & warmer with plenty of convenient features, therefore is easy to use, lightweight (8lbs), has a high capacity, and boasts nifty features like Quick Temp Mode and 4 keep-warm set temperatures. With all these sizzling features, buying this hot pot is a good investment for your kitchen. Buyers expect a certain level of quality and energy-efficiency from Panasonic appliances. And this Panasonic water heater is one of the best all-in-one water boiler-dispensers by the manufacturer. Keeping that in mind, the new water boiler-dispenser combo by Panasonic is an ideal gadget for boiling water, making it ideal for making instant tea, noodles, coffee, baby food, spaghetti, and much more. The large capacity of 4 liters makes this water boiler perfect for several different occasions, including picnics, parties, and a raft of other get-togethers. The design and look are sleek and stylish. It’s made to last for all-day use without any worrying. The boiler also features multiple adjustable temperature settings, making it one of the most convenient hot water pots on the market today. Good reviews came streaming in as soon as Panasonic NC-HU401P hit the market. Perhaps it’s because the boiler is easy to operate and maintain. All you have to do is simply push the button to fill your mug or cup with your favorite drink. The agile capacity and heating capability make the water boiler perfect for ready-to-eat foods and drinks that need quick boiling, like coffee, noodles, tea, baby food, noodles, and so on. The new Panasonic water boiler and dispenser is ideal for any kitchen countertop. It’s easy to use, elegant, and convenient. Although it is a little pricier, the top-notch features in Panasonic make it an excellent investment. It’s a must-have in every kitchen. I like and strongly suggest that you buy one. If you want piping hot water in no time, then the 1-Gallon Rosewill RHAP-16001 is your go-to water boiler & warmer. For starters, the snazzy space-saving design means that the water boiler & warmer is sleek, compact and lightweight, making it ideal for my small kitchen quartz countertop. It will quickly become a staple in your eat-in kitchen thanks to its 3 temperature control settings. That means you can get hot or warm water for your tea at 208 degrees F, coffee at 175 degrees F or even prepare baby’s formula at the convenient 140 degree F.
But that isn’t all; the Rosewill RHAP-16001 is also perfect for making noodles, instant breakfasts, pasta, and a raft of other quick-to-make foods. The generous 1 Gallon capacity implies that the hot pot can come in handy for small family get-togethers, birthday parties, and even picnics. With stainless steel interior & exterior, low-energy usage, and plenty of other good-for-you features, Rosewill Electric Hot Water Boiler and Warmer is no shabby. The new Rosewill Electric Hot Water Boiler and Warmer, is a must-have in every kitchen. It’s compact, lightweight, and the dual dispense speed will make your life effortlessly easy. With nifty features like 3 set temperature control, Dry-boiled protection, hot splash protection, and auto re-boil function as well as an acceptable price-tag, this boiler offers a bang for your bucks. I have been looking for the ultimate high-capacity water boiler, and I’ve found it in the 5.3-liter Chefman Instant Electric Hot Water Pot. The RJ16-SS is truly a mammoth of a hot water urn, packed with amazing features that’ll knock your socks off. At merely 7.9 pounds, the water boiler & warmer is still light and compact enough, making it ideal for an office, large gatherings, parties, picnics, and other high-capacity needs. What I like most about this electric hot-water boiler is that Chefman did a bang-up job on the safety features. From easy-lock lid and dispenser to low-water auto shut-off and cETL approved advanced safety technologies, Chefman RJ16-SS Hot-Water urn is as safe as it comes. Right out of the box, the boiler is no shabby. With an all stainless steel body, built-in spout, two dispense button, and thoughtful design, the hot pot will look sleek and stylish on your home or office kitchen countertop. With this boiler, there’s no waiting; it ensures that water is kept hot or warm throughout the day. And with an automatic re-boil feature, you can always get your water piping hot in no time. 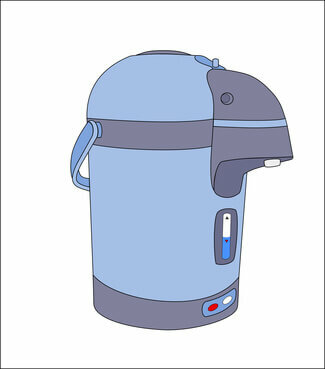 That means you can enjoy your hot tea, coffee, soup, hot cocoa, cereals, noodles, and more in a breeze! The new Chefman Instant Electric Hot Water Pot is for sure an affordable hot-water urn with high-end features. With industry-best safety features, sleek design, efficient setup, and believable durability, this multitasker in worth your hard-earned dollars. The Giantex Hot Water Kettle Dispenser is one of a handful of high-end boilers loved by tea drinkers across the globe. 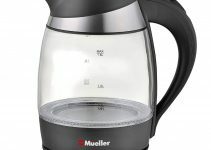 And for good reason; is ideal for when you need to boil water and keep your foods and drinks warm, including veggies, breakfast, champagne, porridge, and other instant foods. The new Giantex water boiler and dispenser is packed with lots of power (750W), making the boiling process quicker and more efficient. With temperature adjustment knob, and variable temperature controls (between 38⁰C and 100⁰C), this is your best shot at a water boiler. The design, look, and feel of the water boiler is also quite fascinating. Also, the one-touch dispenser and controls are bound to make your life a lot easier. Right from the outset, is a worthy purchase. In fact, several positive reviews are already proofing its quality and value to the consumer. If you are looking for an entry-level and quite reliable all-in-one water boiler, warmer, and dispenser, look no further than Giantex Stainless Steel 6 Quart Electric Water Boiler Warmer Hot Water Kettle Dispenser. It’s durable (thanks to stainless steel outside and aluminum inside), energy efficient, affordable, and convenient (water faucet, long cable, multiple temp controls), and overall a high-quality water boiler. The NC-EG3000 3.2 quarts water boiler and warmer is a member of the snazzy Panasonic thermal electric pots. You can also find 2.3 quarts, 3.2 quarts with vacuum insulated panel, 4.2 quarts, and 4.2 quarts with vacuum insulated panel NC-EG3000 water boiler versions. They all come with plenty of sizzling efficient, energy-saving, safety, and easy-to-use features that will make your life a lot easier. This is a water boiler and warmer that’ll help you get rolling boiling water when you need it. The versatile temperature control settings and high capacity inner pot makes this thermal hot pot ideal when you need to quickly, easily, and safely boil and dispense hot or warm water at your desired temperatures. Besides, the auto re-boil function can help you reheat your water to 100 degrees C hot in minutes. What’s more – the thermal electric pot lets you select between heating water to piping hot (212F) or keeping it hot at one of the 4 set Keep Warm temperatures: 140F, 180F, 190F, and 208F. As if that isn’t fabulous, I can set the boiler to start boiling up to 6 hours later thanks to its 6-hr energy-saving timer. Need a perfect cup of joe or tea? The slow-drip mode will do the trick! Get hot or warm water at your desired temperature whenever you need it thanks to the 4 Keep Warm temperature settings: 140F, 180F, 190F, and 208F (rolling hot). The new Panasonic NC-EG3000 Electric Thermo Pot offer plenty of pizzazz. With 4 Keep Warm settings, overheating protection, high-capacity pot, rotating body, Eco-friendly timer, and more, the water boiler & timer provide a bang for your top dollars. If you have been searching for a mid-priced all-in-one water boiler, warmer, and dispenser, look no further than Rosewill R-HAP-01 Electric 4L. Right out of the box, it is a versatile dispenser and quite a sight. When you lift this water boiler, you will feel that is lightweight and compact (just 4.62 lbs). Designed and manufactured by the trusted kitchen appliance maker, Rosewill, the water boiler & warmer gives the ranks of Zojirushi, Panasonic, Giantex, and Secura a run for their money. For one, you will love its three temp control settings — it makes the boiler ideal for instant food, tea (208 degrees F), coffee (195 degrees F), milk powder/baby food (175 degrees F), and keeping water warm (140 degrees F). Safety-wise, this boiler is the real deal. It comes with safety lock for the auto pump, hot water splashing protection, Dry-boiled protection, nightlight indicator, and 2-stage water feeding as well as an auto re-boil function. Besides, the 360-degree rotatable base makes it effortlessly easy to access the interior from any direction. And for his price tag, this boiler offers not only affordability but also reliability. The water boiler & warmer is certainly one of a few on the market that does a bang-up job when it comes to boiling, warming, and dispensing water. It’s compact, reasonably easy to use, and boasts several eye-popping features. I would recommend a friend or family to buy this state-of-the-art hot pot. It’s worth every dime spent. Finally, here is a hybrid water boiler & warmer that boasts a genuine auto cleaning system. For an affordable price tag, Secura water boiler & warmer packs plenty of high-end features. Talk of non-coated 18/10 stainless steel interior, built-in auto clean cycle function, micro-computerized temperature control, two keep warm temperature control settings, auto re-boil function, and so much more. If you are a night tea or coffee drinker, then you’ll fall in love with this hot pot. It comes fitted with a blue nightlight indicator designed for low-light use. Besides, the large capacity of 4 quartz means that you can boil enough water for a small group. Best of all, the water stays piping-hot thanks to the stainless steel outer shell and inner pot. And with auto reboil feature, you can bring back the water temperature to 212 degrees F in a jiffy. As such, this is an excellent choice for making nightcaps, instant noodles, quick breakfasts, pasta, and preparing baby food. I’ve always been a fan of well-designed kitchen gadgets and gizmos. The sleek and smudge/fingerprint resistant exterior ensures that WK63-M2 remains stylish and clean all day. The new Secura boiler and warmer dispenser, WK63-M2, matches up to what you’d expect from a trusted brand like Secura: a high-quality kitchen appliance. The boiler itself is easy to operate, versatile, and is feature-studded. For a hot pot that comes with auto reboil, night light, hot splashing protection, two keep warm temp settings, and a lot of other robust features, WK63-M2 offers value for your money. Finally, here’s a hot water boiler and warmer that ditches the traditional non-stick coating (such as those found in Zojirushi’s) for an-all stainless steel design. As such, the hot water pot is a must-have for every tea drinker. If you are not a fan of Teflon coating in water boilers, Tatung THWP 40 is your best choice. Designed and manufactured by Taiwanese appliance company, Tatung, the water boiler pushes the envelope. With both the inner pot and inside cover made from stainless steel, water boils and stays scorching-hot. Many good reviews already suggest that is ideal for making instant noodles, tea, warming a raft of foods & drinks, and rehydrating mainly dry vegetables. You will like the simple design of the hot water pot. It only features three handy buttons, Temp Decline, Dispense/Unlock, and Reboil, no other complicated controls/buttons. The Tatung Water Boiler and Warmer is undoubtedly a state of the start kitchen gadget that carries out all the purposes of water boiling and dispensing at your home. It’s incredibly easy to operate, affordable, agile, convenient, and require effortless cleaning. Most of all, its affordability doesn’t translate into lower quality. Besides, it comes with robust features found only in high-end water boilers. PDU-A40U is yet another high-quality electric water boiler & warmer from Tiger Corporation. that offers more flexibility, convenience, and affordability over other major brands on the market. To start with, the high capacity of 4 liters is sufficient for a small gathering, party, picnic or even your little one’s birthday celebration. The boiler & warmer itself packs plenty of top-range features, including four temperature control settings, non-stick inner pot, safety auto shutdown function, detachable magnetic power cord, and so forth. As such, it’s ideal for preparation of several instant drinks and food such as coffee, team, pasta, spaghetti, noodles, baby foods, hot chocolate, and so much more. Right from the start, you will love the soft to touch control panel that boasts a large LCD display which shows real-time information about the boiling process. As a result, the control itself is easy to operate. The Japan-made water boiler and warmer has everything you can think of in such a gadget. It’s lightweight, has multi-set temperature controls, large LCD control panel, effortless dispensing system, and a sleek black & stainless steel design. For its price, the water boiler & warmer is worth every penny. I must confess right off the bat that I am an avid tea lover and drinker. As such, I have come to expect a certain level of quality from Zojirushi — their water boilers are primarily designed with basic needs of consumers in mind. Therefore Zojirushi CD-WBC40-TS Micom 3-Liter didn’t disappoint. It comes with plenty of state of the art features that are poised to make your everyday life quite easy. With one-touch dispensing and multiple temperature setting, the spanking new Zojirushi water boiler is perfect for keeping breakfast, veggies, and a raft of other instant meals warm. It’s also tea lovers BFF. Commercially, Zojirushi CD-WBC40-TS comes with a Bistro Trickle Administering Mode so you can expect up to 60 percent reduction of water quantity at standard setting, making it perfect for making Bistro Espresso. Also I love that the boiler helps with dechlorination as it boils water right before bubbling. In conclusion, no matter what you’re looking for, this water boiler will deliver, and one-year warranty will certainly come in handy. Zojirushi water boiler CD-WBC30-TS Micom is perhaps one of the best (if not the best) water boilers and warmers on the market. In time, you will find this boiler a time-saver and money-saver. With one-touch dispensing, 4-variable temp setting, auto re-boil function, 3 or 4-liter capacity, one-year warranty, Bistro Trickle Administering Mode, removable magnetic power cable, and a good price-tag, Zojirushi CD-WBC30 is worth your top dollar. This silver, 135 oz. water boiler & warmer follows in the footsteps of other Zojirushi appliance. It’s well-designed, looks cute, portable, and packs enough power, making it a tea lover’s best friend. For starters, there is also another smaller version with the capacity of 101 oz. or 3 liters. This model is perfect for small kitchens and personal use, but the 135 oz. version will do okay for gatherings like birthday parties, sizeable picnic, and other get-togethers. As you might expect from a gadget from Zojirushi, the new boiler and warmer comes with nifty, top-range features, including Bistro Administering Mode, auto shutdown function, descaling mode, precise temperature control settings (4), bright LCD display, and quick temp mode. As of this date, Zojirushi CD-WCC30 Micom Water Boiler & Warmer already has many positive consumer reviews. It makes for a great useful gift. I know because I gifted one to mom last Christmas, and I can’t hear enough of it! Capacity: a choice of 3 liters/ 101 oz. or 4 liters/ 135 oz. Quick temp mode allows you to take your water to your set keep-warm temperatures (160°F, 175°F or 195°F). That means you don’t necessarily have to bring your water to boil. As a tea drinker, I absolutely love the convenience that comes with Zojirushi water boiler CD-WCC30. It’s portable, easy to use and clean. With 4-setting temp controls and quick temp function, this water boiler is worth your hard-earned cash. Whatever you will choose for your kitchen from this list, I’m sure you will be pleased. Anyway, if you didn’t find these electric water boilers good enough, take a look at Raya electric samovar. It’s a tea maker that is close to capacity and features but a more different look. Please share and like if you find these reviews useful. Also, leave a comment and share your thoughts with us.